Phil Mahla served in the US Army for 20 years, of which he spent 18 years in the Special Operations Forces (SOF) community. Phil served as a platoon leader in the in 75th Ranger Regiment before attending Special Force Assessment and Selection. After graduating the Special Forces Qualification Course, Phil served in leadership and staff rolls in 10th Special Forces Group (Airborne) and at the Theater Special Operations Command Pacific. During his time in the SOF community, Phil participated in six named operational deployments that included: Haiti, Bosnia, Qatar, Bangladesh and two combat tours in Iraq. After retiring in 2011, Phil continued supporting the SOF community through his employment at NEK, as Special Forces veteran owned business that provides specialized training services to the SOF community. Phil is currently working at the Idaho National Laboratory in Idaho Falls, ID as a Business Relations Manager focused on providing critical national security support to the US Special Operations Command Enterprise. Phil recently participated in the Self-Reliant Leadership CrucibleTM expedition in Patagonia with four other SOF veterans. The Green Beret Foundation’s Next Ridgeline serves as a source for Crucible participants, as it’s focused on assisting SOF veterans transition to post military careers. 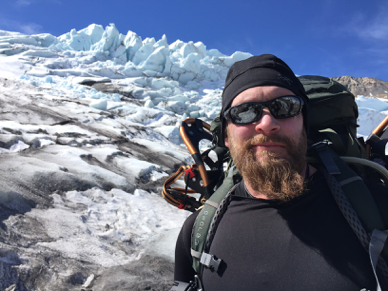 Phil’s involvement in the Patagonia Crucible helped him recognize the important role he now plays in helping his fellow Special Forces veterans. Phil became a Green Beret Foundation Ambassador in October 2016.